Since joining Lite DePalma in 2001, Katrina has represented clients in a broad range of class actions and complex litigation. Katrina is particularly experienced in product liability matters. She served as Co-Lead Counsel in a multi-district product liability matter against Rust-Oleum relating to defective deck resurfacing products. She currently represents a class of consumers against Precor for defective heart-rate monitoring systems in Precor treadmills. As personally identifiable information has become an increasingly important — and vulnerable — asset for businesses, Katrina is involved in some of the most challenging and exciting privacy class action litigations in the country today. Among other matters, she is helping numerous clients pursue redress and compensation for data privacy violations, violations of the federal Telephone Consumer Protection Act (TCPA) and security breaches against various companies. In her data breach matter against P.F. Chang’s China Bistro, Katrina obtained a landmark ruling in the Seventh Circuit hailed as one of the “top privacy cases” of 2016. Early in her career, Katrina litigated some of the most prominent securities class actions in the country as Co-Lead counsel for defrauded investors, including In re Motorola Securities Litigation (N.D. Ill.), where LDG achieved a $193 million settlement, and in In re Tenet Healthcare Corp. Securities Litigation, (C.D. Cal. ), which resulted in collective settlements to aggrieved investors of $281.5 million (including a $65 million auditor settlement, one of the largest of all time). Katrina draws on her trial skills to develop and deliver effective presentations on class action topics to legal and industry colleagues. She is a nationally recognized authority and has spoken at various conferences, including the American Bar Association’s Annual National Institute on Class Actions (2014), Perrin’s Class Action Litigation Conference (2015), the American Association for Justice’s Annual Convention (2016), Loyola University School of Law’s Consumer Law Review Academic Symposium (2017), Practicing Law Institute’s Consumer Financial Services Institute (2018), the American Bar Association Section of Litigation Annual Conference (2018) and the Class Action Mastery Program hosted by HB Litigation Conferences (2018). In April 2018, Ms. Carroll was honored to appear as a panelist at “May it Please the Court: Symposium on Women Lawyers in the Courtroom,” a prestigious event sponsored by the United States District Court for the Northern District of Illinois and the Chicago Bar Association. Katrina frequently appears as a panelist on class action issues at the Chicago Bar Association. She currently serves on the Advisory Board of Loyola University School of Law’s Institute for Consumer Antitrust Studies. She is a member of the Class Action Trial Lawyers Association, the Chicago Bar Association and a former member of New Jersey’s John C. Lifland American Inn of Court. Nicks v. Koch Meat Co., No. 16-CV-6446, 2017 WL 2080420 (N.D. Ill. May 15, 2017) (in class action under the Fair Labor Standards Act, denying defendants’ complex jurisdictional motion in its entirety). Mednick v. Precor, Inc., No. 14 C 3624, 2017 WL 1021994 (N.D. Ill. Mar. 16, 2017) (certifying multi-state consumer fraud class of consumers purchasing treadmills). Keith v. Ferring Pharm., Inc., No. 15 C 10381, 2016 WL 5391224 (N.D. Ill. Sept. 27, 2016) (sustaining most of plaintiffs claims in consumer matter involving fertility drug). Salam v. Lifewatch, Inc., No. 13 CV 9305, 2016 WL 8905321 (N.D. Ill. Sept. 6, 2016) (certifying class of consumers alleging violations of Telephone Consumer Protection Act). Lewert v. P.F. Chang's China Bistro, Inc., 2016 U.S. App. LEXIS 6766 (7th Cir. Apr. 14, 2016) (district court erred in dismissing data breach-related claims of two customers for lack of standing). In re Rust-Oleum Restore Mktg., Sales Practices & Prods. Liab. Litig., 2016 U.S. Dist. LEXIS 1841 (N.D. Ill. 2016) (sustaining majority of plaintiffs’ claims in breach of warranty and consumer fraud matter). Norberg v. Shutterfly, Inc., 2015 U.S. Dist. LEXIS 175433 (N.D. Ill. Dec. 29, 2015) (finding jurisdiction against defendant and that plaintiff stated a claim under the Illinois Biometric Information Privacy Act). In re Life Time Fitness, Inc., 2015 U.S. Dist. LEXIS 163186 (D. Minn. Dec. 1, 2015) (granting final approval of TCPA settlement). Mednick v. Precor, Inc., 2014 U.S. Dist. LEXIS 159687 (N.D. Ill. Nov. 13, 2014) (permitting consumer fraud and warranty claims relating to defective heart rate monitoring equipment). Salam v. Lifewatch, Inc., 2014 U.S. Dist. LEXIS 143222 (N.D. Ill. Sept. 22, 2014) (denying motion to dismiss and strike class allegations in Telephone Consumer Protection Act matter). Shelton v. Restaurant.com, Inc., 214 N.J. 419 (2013) (answering certified questions regarding New Jersey’s Truth in Consumer Contract, Warranty and Notice Act (“TCCWNA”)). Coiro v. Wachovia Bank, N.A., 2011 U.S. Dist. LEXIS 125514 (D.N.J. Oct. 28, 2011) (joint bank account holder plausibly alleged that banks were liable for placing administrative hold on the account when a co-holder filed for bankruptcy protection). New Jersey v. Sprint Corp., 531 F. Supp. 2d 1273 (D. Kan 2008) (sustaining complaint for securities fraud under Tellabs standard). In re Motorola Securities Litigation, 505 F. Supp. 2d 501, 504 (N.D. Ill. 2007) (denying in substantial part defendants’ motions for summary judgment in certified nationwide securities fraud class action; case settled on eve of trial for $190 million). Katrina Carroll was mentioned in an article in Law360.com titled, "Judge Won't Rethink Partial Cert. In Heart Monitor Suit." To read this article, click here. Lite DePalma Greenberg is pleased to announce that the settlement class consisting of purchasers of Rust-Oleum’s Restore Products in In Re: Rust-Oleum Restore Marketing Sales Practices And Products Liability Litigation, Case No. MDL No. 2602, Case No. 1:15-cv-1364 (N.D. Ill.) received final approval of the $9.3 million settlement reached in October 2016 with defendant Rust-Oleum Corp. The multidistrict litigation involved 13 lawsuits accusing Rust-Oleum of marketing its Restore Products as rejuvenating for wooden and concrete decks, when, in actuality, the products peeled-off and left decks in need of repair. 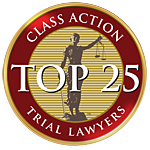 The settlement provides relief relative to the injuries suffered by settlement class members. Katrina Carroll, Member of the Firm, is co-lead counsel for the settlement class. During the final approval hearing, Jude Amy St. Eve, who presided over the litigation and the settlement, told Katrina Carroll, , “You are a model I wish all lawyers would follow.” To read more about the settlement, click here. On September 6, 2016, the Northern District of Illinois granted certification to a class of individuals who received unsolicited phone calls to their cellular telephones from Lifewatch, Inc., a medical alert system provider, from October 16, 2013 through the present. Salam v. Lifewatch, Inc., Case No. 13 CV 9305 (Dkt. No. 121). 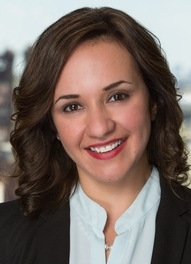 Katrina Carroll, Esquire, of Lite DePalma Greenberg, LLC, was appointed co-lead counsel for the Class. Lite DePalma Greenberg's P.F. Changs Data Breach case named one of Top Privacy Cases in 2016. To read this article, click here. Katrina Carroll was mentioned in an article on Law360, "Shutterfly Hit With Privacy Suit Over Facial Recognition". To read this article, click here. Katrina Carroll was quoted in an article on ABC News 10, "Class action lawsuit filed in San Diego against Anthem". Click here to view this article. Katrina Carroll was a speaker/panelist for "Playing in the Not So Friendly Confines: Offensive and Defensive Strategies for Litigating Privacy and Data-Breach Class Actions in this Season's High-Tech e-Commerce Game," at the 18th Annual National Institute on Class Actions held in Chicago, Illinois, October 23-24, 2014. Bruce D. Greenberg and Katrina Carroll were mentioned in the New Jersey Law Journal in connection with their success in defeating a motion by Wells Fargo Bank to dismiss a class action case that LDG brought against the bank and its predecessor. In a highly anticipated decision issued on January 25, 2019, the Illinois Supreme Court in Rosenbach v. Six Flags Entertainment Corp., 2019 IL 123186 (Ill. 2019), handed an important victory to consumers seeking redress for privacy violations under Illinois' Biometric Information Privacy Act ("BIPA"). Uninvited robocalls and spam texts can be extremely annoying to consumers. Yet these methods of direct communications are widely used by businesses and the numbers are growing each year. In 2017, the Federal Trade Commission received 7,157,370 consumer complaints regarding unsolicited robocalls, an increase of almost 2 million from the prior year (see https://www.ftc.gov/policy/reports/policy-reports/commission-staff-reports/national-do-not-call-registry-data-book-fy-2). Consumers are supposed to get protection from harassing calls under the federal Telephone Consumer Protection Act ("TCPA") which regulates these activities and confers on the consumer the right to sue. For newly filed cases on or after June 1, 2017, the Northern District of Illinois (generally regarded as a very active District in case management procedures) began participating in a three- year "Mandatory Initial Discovery Pilot Project" (or "MIDP"), which will significantly affect civil litigation, especially in complex class actions. This novel project was endorsed by the Judicial Conference of the United States and is intended to reduce the cost and delay often involved in the initial stages of discovery. My last post dealt with the four "wraps": arbitration clauses presented on the internet in connection with consumer transactions. There is yet another arbitration "wrap" worthy of discussion, but it's not an internet-based "wrap." Rather, as the name implies, "shrink wrap" agreements are printed agreements packaged in boxes containing various consumer products. These agreements are ubiquitous and they raise unique issues in the arbitration context because of the way in which they are presented. As any lawyer practicing in the field of consumer litigation knows, arbitration clauses have become commonplace in consumer agreements. Arbitration shuts the courthouse door and effectively prevents people from pursuing class actions and vindicating their rights for small injuries. The plaintiffs' bar has been fighting against forced arbitration for years, with limited success. The most successful attacks are where, applying traditional contract principles, plaintiffs can show that no valid agreement to arbitrate was formed. Any consumer who signs a contract for services of any kind should be on the lookout for an automatic renewal clause. These provisions (also known as "Evergreen Clauses") typically specify that the contract will continue if not cancelled within a specific amount of time. Often, the contract will be extended for the same period provided in the original agreement, and this can be many months and even years at a time! It is easy to see why vendors like automatic renewal provisions: they eliminate administrative burdens in having to keep track of expiring agreements and having their customers agree to new contracts. For the consumer, however, automatic renewal clauses can be extremely problematic if not properly disclosed. Can a resident of Illinois who purchased a falsely-advertised product represent a class of people who bought that product in California? And if yes, which state's law applies? Illinois, California, neither or both? These questions arise often in class litigation and the answers are complex and depend heavily on the nature of the case and the specific state laws involved. So, here's the scene: after a long day, you're standing in the kitchen and sorting through a huge pile of mail. Between bills and catalogues, you spot an ominous, legalistic "NOTICE OF CLASS ACTION SETTLEMENT," most of its text written in tiny 4-point font. At the top (and perhaps in oh so distinguishable 5-point font), you see that "you are not being sued." "Phew! What a relief," you think as you toss the notice into the trash. You have no clue that you're actually throwing good money away with yesterday's dinner scraps.